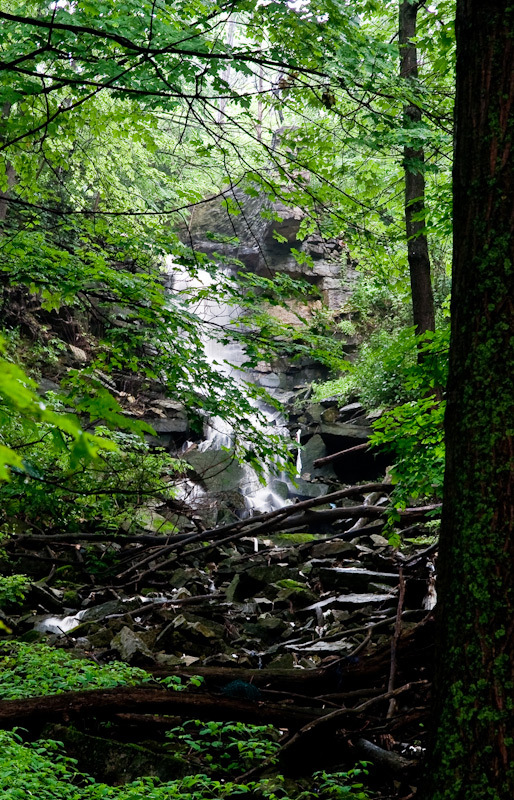 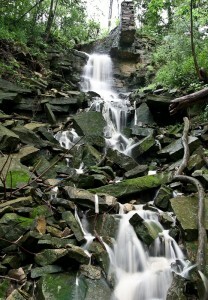 Jones Road Falls is a Terraced Ribbon Cascade. 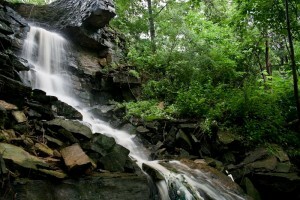 Its height is 6 metres (20 feet) and its width is 2 metres (7 feet). Its flow is strongest during rain storms and the seasonal snow melt. Jones Road Falls was “discovered” by Nadeem Paracha in 2005. 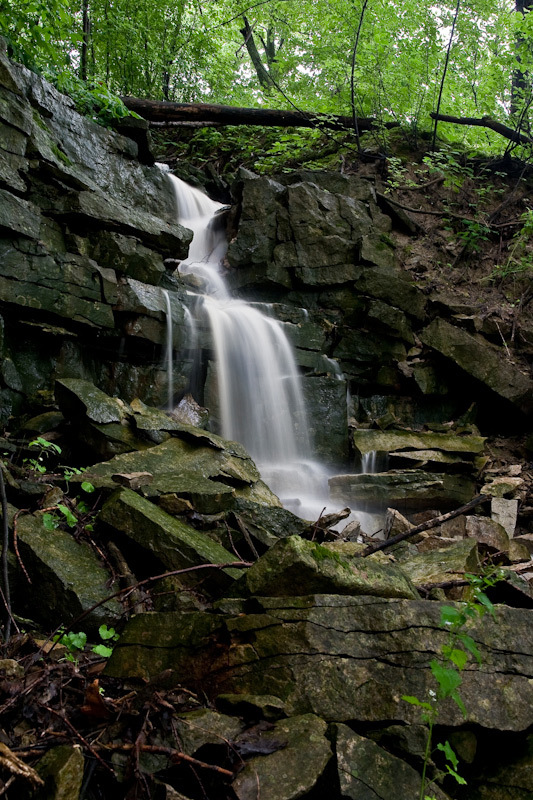 To reach this waterfall, park on the widened shoulder on the east side of McNeilly Road at the Bruce Trail. 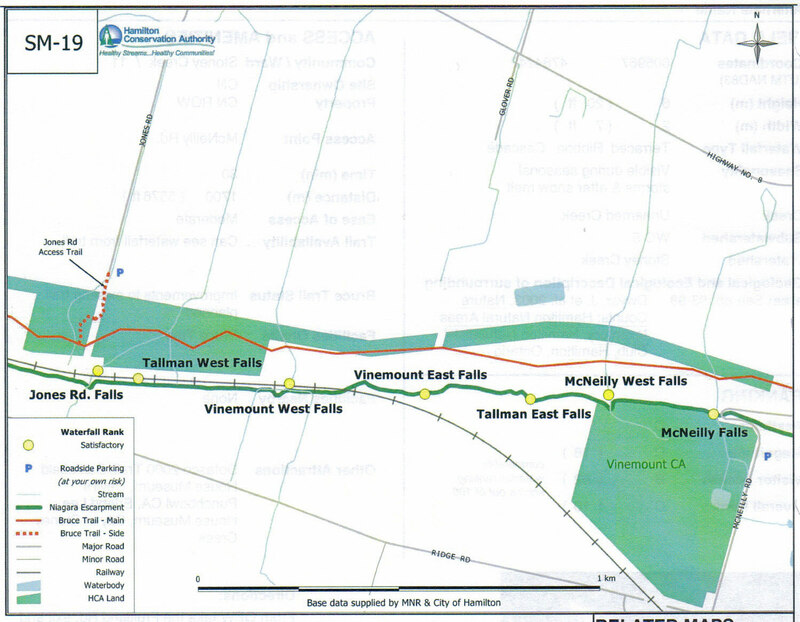 Cross McNeilly Road and follow the Bruce Trail westward. 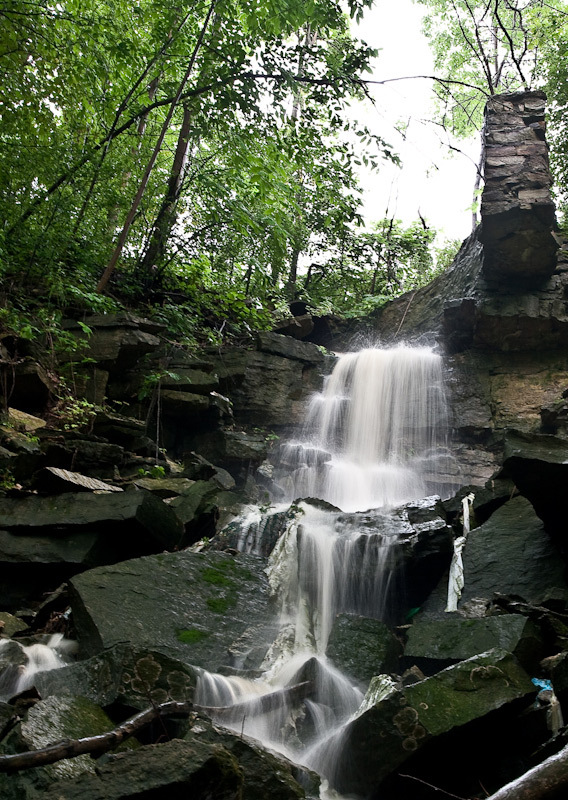 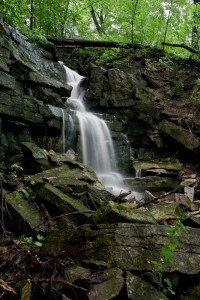 The waterfall is located just before the Jones Road access trail. The water that flows over Jones Road Falls originates on the upper side of the railway tracks, from the fields on the escarpment in that area.